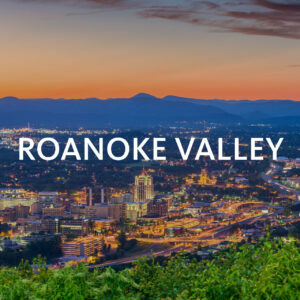 RIDE Solutions provides alternative transportation options – ridesharing (carpooling and vanpooling), biking, public transit, walking, and guaranteed ride home services – to residents living within the greater New River and Roanoke Valleys and Region 2000 regions of southwestern Virginia. Through our free services we partner with citizens and businesses to connect them with commuting options – beyond the single-occupancy vehicle – to access work and school. RIDE Solutions is a grant-funded program made possible through the partnership agencies of Virginia Department of Rail and Public Transportation (VDRPT), Roanoke-Valley Alleghany Regional Commission, New River Valley Regional Commission, Central Virginia Planning District Commission, and the West Piedmont Planning District Commission. To learn more about TDM’s benefits and program value to Virginia’s roads and air quality go to Virginia Department of Rail and Public Transportation. RIDE Solutions is a Transportation Demand Management (TDM) Agency – a program dedicated to expanding the efficiency and life of the roadway network and reducing the environmental impacts – air pollution – of vehicle emissions. By helping to promote and connect individuals and businesses partners to transportation options TDM agencies (RIDE Solutions) help to reduce traffic on local roads and improve air quality (link to our community or benefits section) by reducing the impacts of vehicle emissions. Fewer cars on the road during the busy rush hours of the day can also mean safer roads. Through incentive programs, education, and encouragement RIDE Solutions connections people to transportation options. Any Employer or commuter in New River Valley, Central Virginia (Greater Lynchburg Area), West Piedmont (Greater Martinsville/Danville Area), and Roanoke Valley are eligible to join and receive transportation program assistance from RIDE Solutions. LET RIDE Solutions provide you with commuting options that will help you wallet and extend the life or your car, all while benefiting the community. Learn more about what we can do for you on our site. Whether it’s carpooling, taking the bus, riding a bicycle or walking, SOV-free options (that’s the lingo for “single occupant vehicle,” aka driving alone) benefit everyone. When you have more than one way of getting to work, you’ll be at work more days, earning instead of worrying about that missed day of pay. Wider transportation choices mean you can look at wider job-search area and find either a job closer to home or a better-paying job that would have been physically out of reach. Whether it’s getting to work or running an errand, these options can expand access to a better income and a stronger connection to the community. 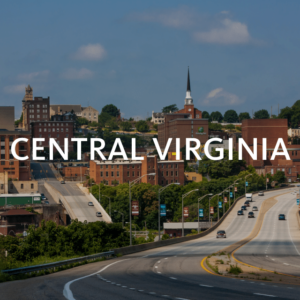 Automobiles are a primary source of pollution in the U.S., Virginia, and our region. Air quality can affect more than just our view – it can cause or worsen lung disease, asthma, heart disease, and even brain development. During the summer, ozone pollution caused by vehicle exhaust can make it dangerous for kids or the elderly to use our region’s great outdoor amenities. Reducing the amount you drive is a great way to make sure you’re breathing easier. Did you know that most Americans spend about two weeks a year stuck in traffic? Fewer single-occupancy vehicles on the road reduce traffic congestion, especially during the high-volume morning and afternoon commutes. Less congestion means that everyone gets to where they’re going faster. Not only does this mean less wear-and-tear on our region’s roads, it means less time driving and more time to spend on things we really enjoy doing. Walking and riding a bicycle to work, school, or to one of the local transit stops, is a great way to improve both physical and mental health. What better way to get your mind and body geared up and ready for a day of work or study. Lack of physical activity has been shown, in numerous studies, to have had a dramatic impact on the declining health of American adults and children. Increases in obesity, diabetes, heart disease, asthma, sleep apnea, and certain forms of depression have all been linked to a lack of daily physical activity. Walking and biking provide simple, fun, and inexpensive ways to include some physical movement in our day. The World Health Organization (WHO) reports that the most effective way to positivity impact physical and mental health is to walk or bicycle to trips shorter than 3 miles. Let RIDE Solutions help you incorporate a healthy commute as part of your work or school week routine. Your body and mind will thank you. Your employer will be happy too – a contented employee is a productive employee. Walking, Biking, carpooling, and transit offer an opportunity to get to know your neighbors and neighborhood better. Safe biking routes will take you down streets, bike paths, and greenways you may not have known existed. It’s easy to miss things when you’re zooming by in your car – slowing down a little can help you reconnect with your hometown. Transportation is more than just getting from A to B – it is how we are connected to our neighborhoods, how our neighborhoods are connected to our communities, and our communities are connected to the region around us. Transportation can have an affect on what jobs we have access to, what our neighborhoods look like, how our children get to school, and even what we can by. RIDE Solutions believe that transportation choice can strengthen our communities in a variety of ways, from how sidewalks and greenways connect our neighborhoods to one another, to the role of transit in broadening access to employment, to improving public health through clean air and active transportation choices. Explore the ways RIDE Solutions can help your community, and get in touch with us if there’s anything we can do to help. For more information on plans and studies in your region, click the appropriate link below. 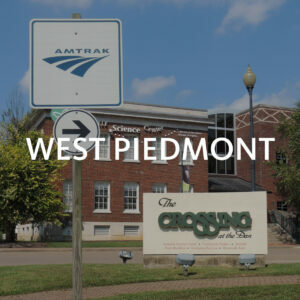 West Piedmont (Great Martinsville/Danville Area) - West Piedmont Planning District Commission. The counties of Alleghany, Botetourt, Roanoke, Franklin, Patrick, Pittsylvania, Henry, Montgomery, Giles, Floyd, Pulaski, Bedford, Amherst, Appomattox, and Campbell. The cities of: Roanoke, Salem, Lynchburg, Martinsville, Danville, Covington. 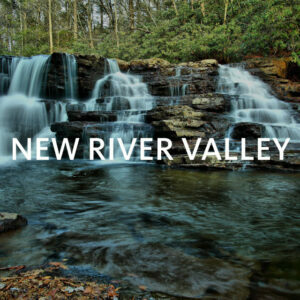 The towns of: Vinton, Rocky Mount, Bedford, Blacksburg, Christiansburg, and Clifton Forge.